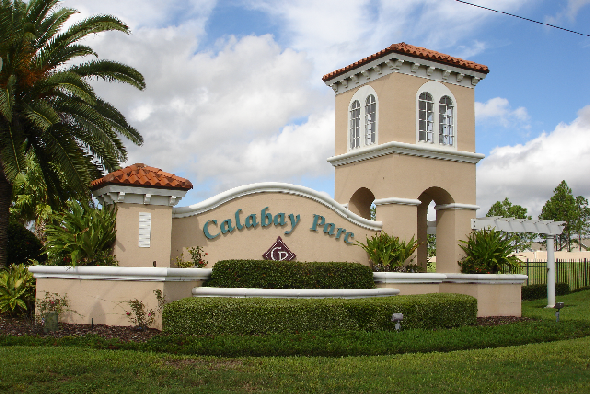 Calabay Parc is a well kept community of luxury executive villas located off the US 27 in the Davenport area. It is ideally located to access everything Central Florida has to offer. Theme parks, shopping, golf courses and numerous restaurants are all within minutes of our lovely villa. It really is a haven of tranquility in the heart of Florida. It is easily reached from Orlando International Airport (30 minutes), Sanford International Airport (60 minutes) or Tampa International (65 minutes). Either coast can be reached in a little over 60 minutes because of its location close to the I-4. It really is an ideal location for your vacation.